Okay, here you are, in Indonesia, which is right under the equator in Southeast Asia. It is the home of wondrous spices, exotic jungles and a smiling people as warm as their tropical climate. While many Indonesians can communicate in English, you can always impress them by greeting them using Bahasa Indonesia, their native tongue. 1. For greetings, you can always say a simple ‘Hi’ or ‘Hello’. 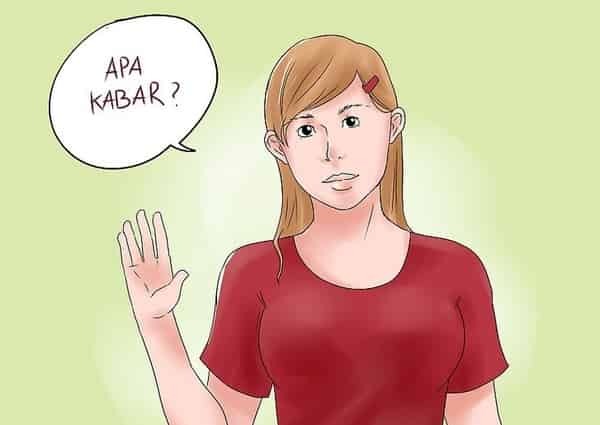 In non-formal situations, you might say ‘Apa Kabar?’ (How are you?). 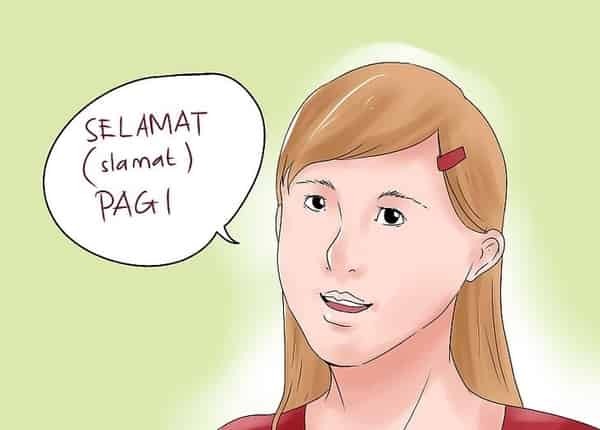 More formally, you might want to use ‘Selamat Pagi’ in place of Good Morning, ‘Selamat Siang’ for Good Afternoon, ‘Selamat Sore’ for Good Evening, and ‘Selamat Malam’ for Good Night.Selamat malam is not used if you want to go to sleep. 2. Note that the 'e' in 'Selamat' is not pronounced. To pronounce it correctly simply say 'slamat'. Also its perfectly OK to omit the 'selamat' completely and simply say 'pagi'. Similar to English where Good Morning is abbreviated into 'Morning. 4. Bahasa Indonesia is usually read and pronounced phonetically. Say it the way you see it. Rarely will anyone laugh if you accidentally slip. Just continue on speaking in your usual accent and you'll eventually get it right. 5. 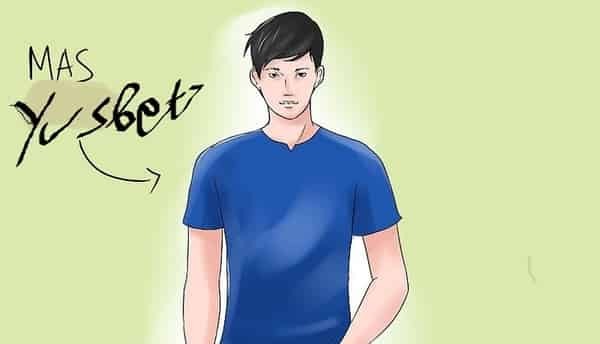 In most polite situations, use the honorifics ‘Mas’ or ‘Pak’ or ‘Bu’ or 'Mba'(spelled embak) before a person’s name. ‘Mas’ meaning one younger than you, 'Pak', sir or mister (Can be used to address any male, except boys, which would be 'Mas') 'Ibu' is also used everyday, such as "Hai, Ibu!" Abbreviation is used normally, Indonesians constantly shorten things. "Bu" is an abbreviation of Ibu. Ex: Mas Bayu (young male); Pak Mulyawan (male, formal) ; Bu Kartini (married female); Mba Elita (Ms. Elita). The K and the NG are the only 2 somewhat tricky sounds of Bahasa Indonesia. The former has a dual function. Sometimes it sounds exactly like the K in English, while at other times (like in Pak) it marks a 'glottal stop:' a glottal stop is the opposite of the ahhhh-sound, as you intentionally choke off the air in your throat to end the syllable. It sounds like the Uh in Uh-oh! The second is the NG combination which produces a "velar nasal" sound similar to the way you would pronounce 'sing.' All that said, it is a minor matter that the Locals will tolerate until you eventually refine it as you learn more of the language. 6. The Indonesian way for naming does not always use the surname or family name. If a person is named ‘Sony Agus,’ it does not mean his family name is Agus. Feel free to call him with just ‘Pak Sony’. Some Indonesian even named with one single first name, without middle name or family name. 7. Don’t be offended if an Indonesian you barely know addresses you by your first name. Indonesian people use first name basis in daily life, with whomever they meet. The exceptions are married women, nobles and royalty. 8. Married women will likely be using their husband’s name, but in the way they like. Use the name she told you when you were introduced to her. Don’t forget to add ‘Bu/ Ibu’ before you speak her name. 9. Speak in English if you get suddenly stuck and don’t know what to do or to say. Experience shows that Indonesians are very intuitive communicators who can make out what you're trying to say, regardless. 10. Smile when you speak. Indonesians are as a whole, open and friendly people. Smiles will do magic to oil social interactions with them. A slight nod/bow is also a common practice. The bowing should not be equated with subservience, but with extreme politeness. Westerners should not let it bother them. 11. Ask if you forgot your way or want to know where. The Indonesians are famous for their hospitality, the eastern custom they hold, respect as well. Moreover guests, for them you are a guest, and should be treated well and courteously. That's the habit of Indonesians, do not be afraid to ask something, they will be pleased to help you. The famous Indonesians love to say hello, if any of them greet you, want to take a photo with you, do not reject them. For those taking pictures with you who are as foreigners who often with the name "bule" is a pride for them. So do not remove their expectations to take pictures with you.